Trius Retail™ is a Delaware based Limited Liability Company founded by a team of experienced retail, brand and marketing practicioners. It is this base of experience that pervades the “DNA” of Trius Retail’s signature technology solution, Shelf Alive!™. Our Mission Statement embodies our vision, our passion, and acknowledgement of the complexities of the Retailer-Packaged Goods Brand-Shopper Ecosystem. Without the knowledge of “how and why” money flows in the marketplace, even the best technologies struggle to succeed. 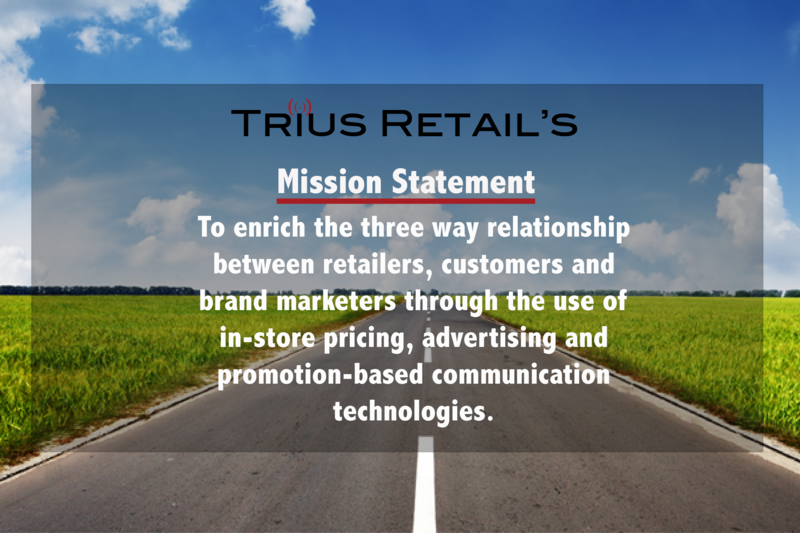 The Trius Retail leadership understands the requisites of success in this environment. For The Retailer, an immediate return on their investments of capital and human resources to assure rapid adoption. For The Shopper, meaningful value in the technology and an accelerator for their shopping experience. For Manufacturing Brand Suppliers, the immediacy of results, access to shopper data, and measurable in-store outcomes. Shelf Alive!™ is a game changer. An in-store pricing and communication platform with one foot planted in the immediate realities of retailing and the other firmly planted in the future!